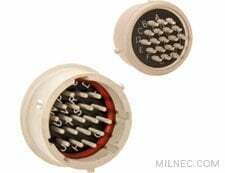 While environmentally sealed connectors are designed to protect against most hazards (moisture, mud, sand, debris, etc. ), some applications require more extensive protection or a complete airtight seal. Hermetic connectors can fully seal an enclosure subjected to more unique types of abuse, such as extreme pressures, temperature changes, and gas and moisture ingress. 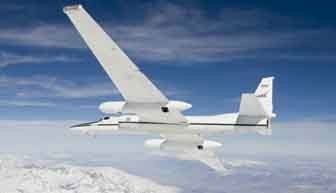 Typical hermetic applications include vacuum chambers, medical and laboratory experiments, pressurized cabins, valves, sensors, and probes. 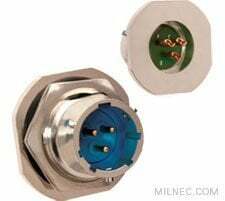 Hermetic connectors are used to provide a structurally sound, environmentally sealed electronic feed-through to a pressurized bulkhead or chamber. Because the receptacle is the passageway into the sealed environment, only receptacles need to be hermetic. Standard dielectric glass-fused inserts, rated up to 75 psi (5.3 kg/cm2), are used to maintain the strongest and tightest bond between the insert, contacts, and shell. Special order hermetic receptacles are available for high-temperature applications of 1,000°F (537°C) and high-pressure applications of 50,000 psi (3,515 kg/cm2). Hermetic connectors are available in a variety of shell styles. The hermetic jam nut receptacle was designed exclusively for rear mounting through a single D-shaped hole, which keeps the connector from spinning once mounted. A hex nut locks it in place rather than fasteners. Jam nut receptacles provide a superior environmental seal due to their integrated O-ring and single-hole mount design, which decreases the number of openings in a sealed enclosure. 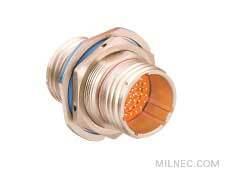 The hermetic box mount receptacle has a standard four-hole mounting flange. It requires a sealing gasket to ensure an airtight seal between the mounting panel and the receptacle shell. The hermetic solder mount receptacle has a reduced flange specially designed for soldering. Due to their reduced footprint, these receptacles are ideal for mounting in limited spaces or in high densities. The hermetic jam nut bulkhead receptacle was designed exclusively for rear mounting through a single D-shaped hole, which keeps the connector from spinning once mounted. A hex nut locks it in place rather than fasteners. Jam nut receptacles provide a superior environmental seal due to their integrated O-ring. 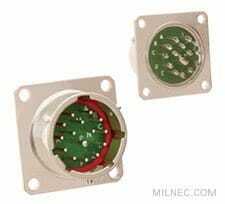 The thru-bulkhead version offers the unique option of a connector with dual receptacle ends to pass a cable through a bulkhead or panel.